This beautiful 3 bedroom bungalow is well-maintained, in excellent condition throughout and would make a lovely family home. 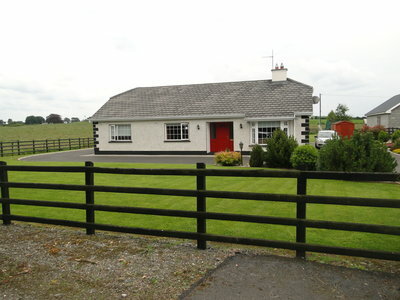 Standing on ‘c’ 0.5 acres of landscaped gardens, this home is located ‘c’ 10km from Athlone town. Acc: Entrance Hall, Kitchen/Dining Room/Living Room, Sitting Room, Utility Room, 3 Bedrooms (1 Ensuite) and Bathroom. This home is also located close to Glasson Village and Baylin and within minutes drive of local schools, shops and all amenities. Viewing recommended. Previous Listing204 River Village, Monksland, Athlone.Next Listing1 Parnell Sq., Athlone.